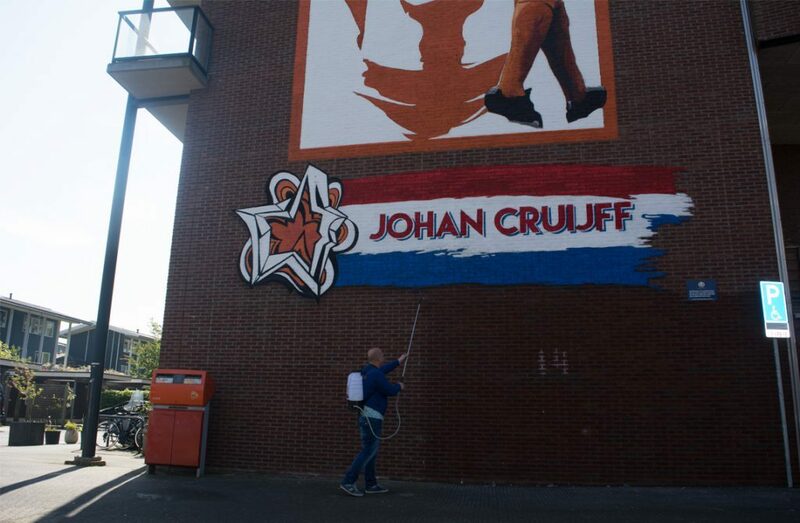 A gigantic wall painting by Johan Cruijff has appeared. 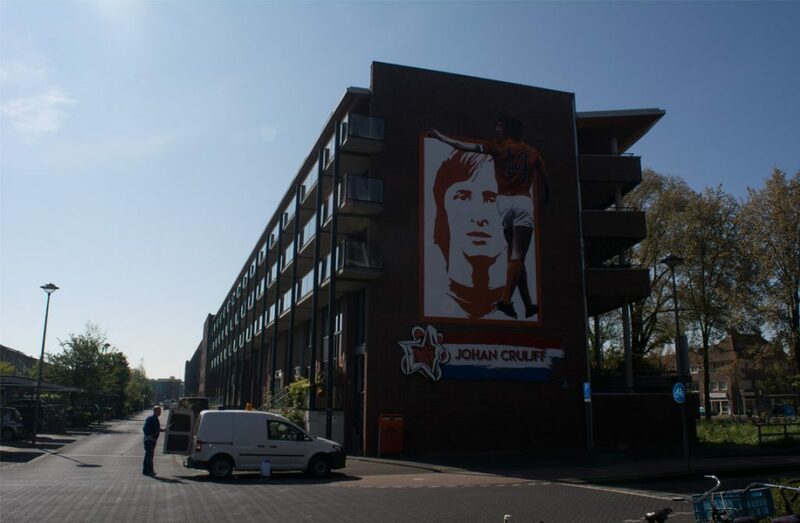 The artwork can be admired on the corner of Wembleylaan at the former site of the old Ajax stadium De Meer and opposite Betondorp, his birthplace. The artwork is thirteen meters high, almost 9 meters wide and was made by the artist Paolo Consentino. 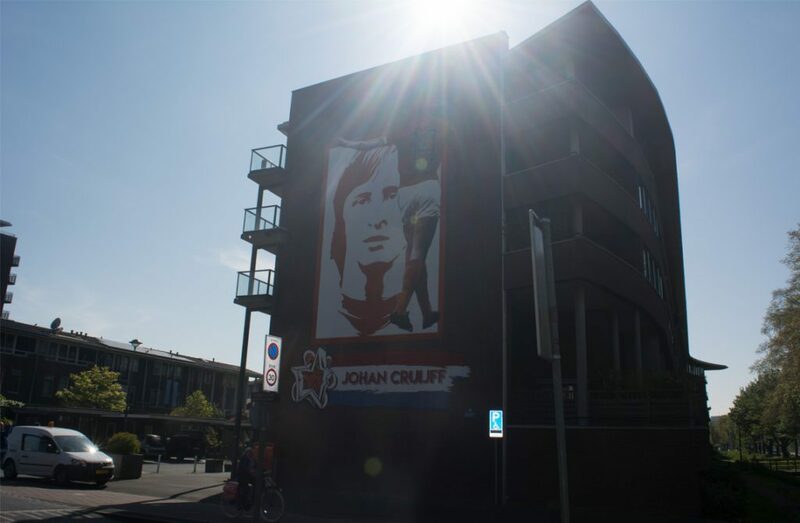 Consentino is famous for immortalizing football heroes on concrete in Brazil, Argentina, Uruguay, Portugal, Spain and Germany. 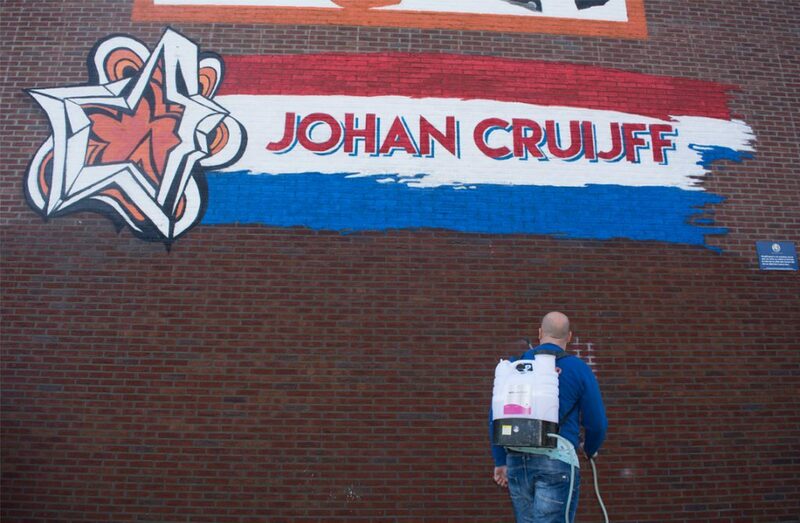 The artwork is an initiative of the Legacy of Johan Cruijff, the Cruyff Foundation and AkzoNobel. Through Coating.nl, ProNed has started working here for Event Department. 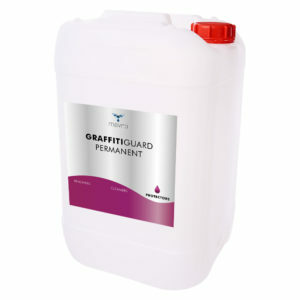 GRAFFITIGUARD PERMANENT has been used to protect the underside of the painting. A great honor that we have been able to contribute.